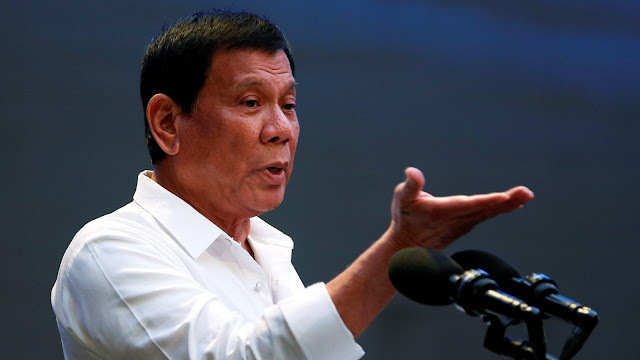 President Rodrigo Duterte on Thursday shrugged off the complaint filed against him at the International Criminal Court (ICC). "Let them be," Duterte told reporters in Malacañang. Duterte said he was given a copy of the complaint filed by lawyer Jude Sabio, the legal counsel of confessed hitman Edgar Matobato, who said the President started the Davao Death Squad when he was still a mayor of the said city. "If I go to prison, so be it," he added. On Monday, a Reuters report quoted Sabio as saying that he had filed a complaint against Duterte and other senior officials, accusing them of crimes against humanity in a nationwide anti-drugs crackdown. In his 77-page complaint, Sabio alleged that Duterte "repeatedly, unchangingly and continuously" committed crimes against humanity and that under him, killing drug suspects and other criminals has become "best practice."